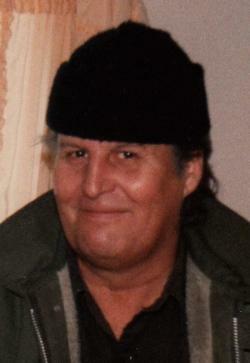 It is with sadness we announce the passing of Maurice Laurie Vautour, 79, of Shemogue, NB. Maurice passed away peacefully at the Dr. Georges L. DuMont Hospital, on Saturday, November 24, 2018. Born in Port Elgin, NB, he was a son of the late Jeanne Marie Vautour Duguay. Maurice served with the Canadian Forces for many years when he was younger. He loved the outdoors, and spent many days in the woods and on the ocean. His green thumb made him a great gardener and he always produced great vegetables. He is survived by his sons Keith Vautour, PEI and Maurice Vautour, Fredericton, NB; grandchildren, Jessie, Sophie, Kelsie, Nicky, and Maurice Jr.; as well as great grandchildren; siblings Billy (Marie-Mai) Duguay, Shemogue, Larry Duguay, Shemogue; as well as several nieces and nephews. Arrangements have been entrusted into the care and direction of Jones Funeral Home, Sackville and Port Elgin, NB (506-538-2241). A family graveside service will take place in the St. Clement's Roman Catholic Cemetery in the spring. Sharing of memories and condolences may be sent to the family by visiting Maurice's online memorial at www.jonesfuneralhome.ca or through the Jones Funeral Home Facebook Page.